Helinox Chair Two. 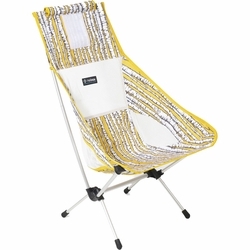 This ulta-comfortable lightweight portable camp chair can also be used as the perfect deck chair. Featuring a wider and higher back seat for ultimate comfort and a single shock corded pole structure for quick and easy set up.